This page is dedicated to the facts and archaeological finds that pertain to the myths, legends, and rumors surrounding the origin of the High Stewards of Scotland, their ancestors, and descendants. I want to remain as neutral as possible, providing what can be proven, and leave the readers here to draw their own conclusions from these findings. I have my own thoughts on some of it, but that doesn't mean I hold it to be fact. Some stories can be discounted as potential hoaxes, but some remain unexplained and authentic, according to some professional historians and archaeologists. From their mysterious beginnings in documented history, to the legends before them that have echoed through the ages in stories most of us have come to know in history books, fairy tales, and bedtime stories, we'll take a look at what is fact, what is false, and what is feasible. I don't like going on assumptions but sometimes common sense gives us a good idea of more probable theories than have been suggested. If you'd like to put up your thoughts in the forum, by all means, help yourself. All we ask is for everyone to follow the forum rules if you chose to do so. Stewart ties to the order of poor knights of the temple of solomon? The Stewart family lineage is one of many that has been shrouded in mystery, folklore, and legend for centuries. Some claim their ties to the Knights Templar hold even a far greater tale than those of the treasures from King Soloman's Temple. Even after the Templars and it's leader were captured on Friday, October 13th, 1307, some have speculated that a sect of these knights escaped and factions of their order continue to guard their secrets to this day. If indeed some of them escaped and fled with their Holy Land treasures that had been in their possession since the crusades, surely, others would have pursued them relentlessly. People have searched for these treasures far and wide and it's even been speculated they could be here in America. Whether these myths and legends hold any truth remains to be proven as fact. Which ever be the case, these are tales that have captivated us for generations with stories that are as timeless as time itself. Following the capture of Jerusalem by Christian fighters during the First Crusade, groups of pilgrims from across Western Europe began visiting the Holy Land. Many were killed while crossing through Muslim-controlled territory during their journey. Around 1118, a French knight named Hugues de Payens founded a military order along with eight family members and acquaintances, calling it the Poor Knights of the Temple of King Solomon (later known as the Knights Templar). 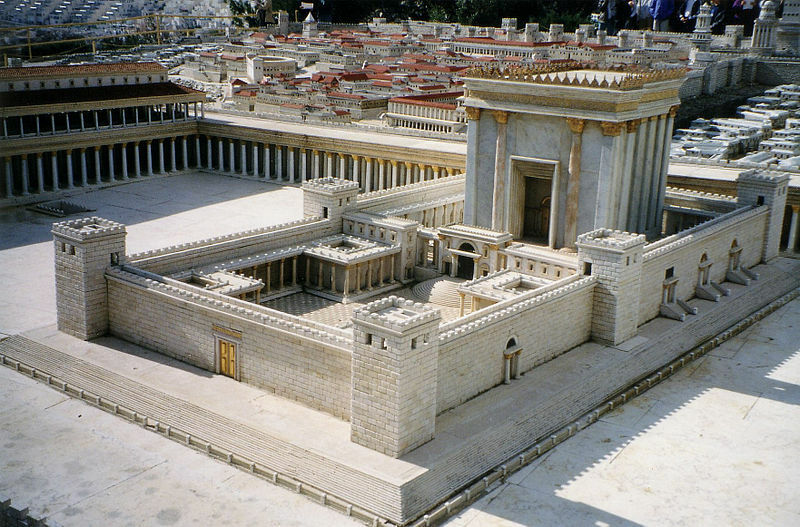 With the support of Baldwin II, the king of Jerusalem, they set up headquarters on the sacred Temple Mount and pledged to protect Christian visitors to the city. The order answered to the Pope alone. After facing initial criticism by religious leaders, in 1129 the knights received the formal endorsement of the Catholic Church and support from Bernard of Clairvaux, a prominent abbot. New recruits and lavish donations began pouring in from across Europe. (Though the Templars themselves took vows of poverty, the order could accrue wealth and land.) It was also around this time that the knights adopted an austere code of conduct and their signature style of dress: white habits emblazoned with a red cross. In Scotland, King David I gave land to the Knights Templar and the Knights Hospitaller. The Hospitallers were invited to Scotland by David I in 1132. They were granted a charter to build a headquarters - a ‘Preceptory’ - at Torphichen c.1140. David granted the Templars ‘the manor and chapelry of Balantradoch’ (now the Midlothian village of Temple) in 1153. "...entrusted himself entirely to the guidance of religious monks, retaining beside him the most noble brethren of the distinguished military order of the Temple of Jerusalem, he made them both by day and night custodians of his morals." The Templars were arrested in 1307. Their buildings and wealth was seized. In Scotland the Templars were brought to trial at Holyrood in 1309. When the order was finally dissolved the Templars’ land and properties were given to the Knights Hospitaller. (Left) Replica of minutes from the heresy trial of the Knights Templar. These accounts were reportedly lost in the Vatican archives until 2001. It is generally accepted that the Knights Templar were a wealthy and powerful faction in medieval Europe. Their military feats were the stuff of legends despite having lost as many battles as they won. The devotion of the Templars to their order, their wealth, and the deference shown to them by much of the ruling class led to intense jealousy on the part of King Phillip IV of France. King Phillip accused the Knights Templar of multiple acts of heresy. Once arrested, the Templars were tortured to force confessions of spitting on the cross, idolatry, and homosexual behavior. Historians generally agree that it was Phillip's desire to seize the Templar's wealth and holdings that led to his actions. Under the cloak of faith, he decimated their reputations to protect himself from future reprisals. The documents above were released by the Vatican, misplaced in its archives until 2001, are reportedly the official transcripts of that trial and Clement's 1308 verdict, which found the Templars to be immoral but not heretical. The Pope allegedly intended to reform them. But under continued pressure from his French protector, Clement instead disbanded them in 1312 and gave most of their riches to a rival military order. By the year 1312, Pope Clement V dissolved the Knights Templar officially and revoked their mandate. The last Grand Master, Jacques de Molay, of the Knights Templar was burned at the stake in 1314 despite having recanted his confessions.